You’ve never had a coffee like this! 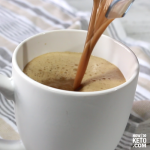 Unbelievably rich and creamy, this Keto Bulletproof Coffee Recipe will be your go-to pick me up! I don’t feel completely ready to start the day until I’ve had my morning coffee. But if I drink coffee on an empty stomach, I tend to feel light-headed. I know what you might be thinking…butter?! I was skeptical too until I tried it! The butter and coconut oil also create a smooth and creamy mouth-feel like a rich latte. And the foam, oh the foam! Just heavenly! I don’t know if I’ll ever look at coffee the same! 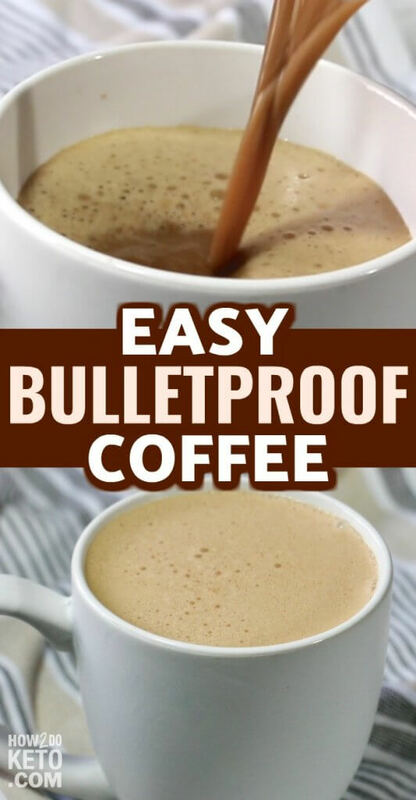 The term “bulletproof” comes from the Bulletproof Diet, created by Dave Asprey with the goal of “biohacking” our bodies and brains into performing at full capacity. The Bulletproof Diet is similar to the Keto Diet in that it is high-fat and low-carb; however, there is more focus on food quality and cooking methods. 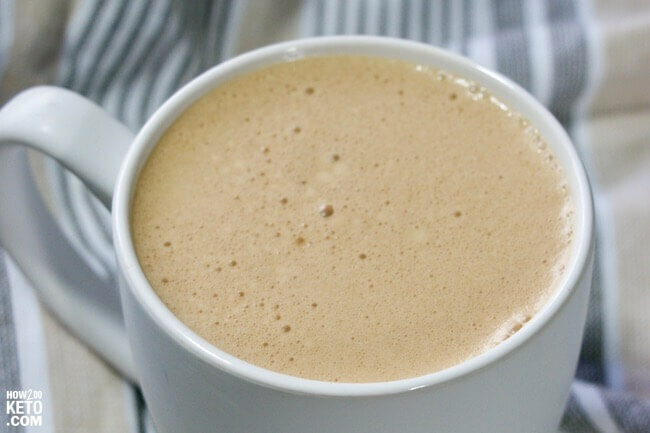 Most (if not all) “bulletproof” recipes, like this Bulletproof Coffee Recipe, will be keto-friendly. 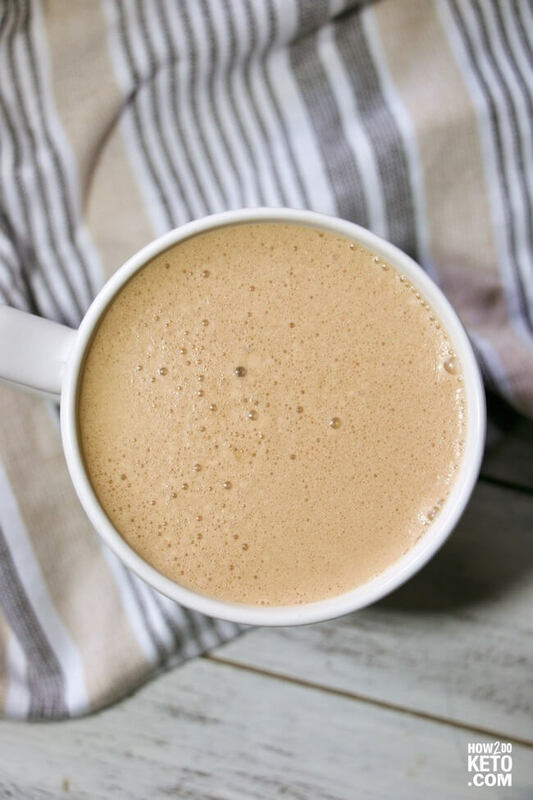 For your convenience in re-creating our Keto Bulletproof Coffee recipe at home, we’ve included shop-able ad links to some of the products and supplies used. Read our disclosure policy here. The above is a quick glance at the ingredients and tools needed to make our Keto Bulletproof Coffee Recipe. Full ingredient amounts are available in the printable recipe at the bottom of the post. Keep reading for photo step-by-step instructions and cooking tips. A full printable recipe and video tutorial follow. I soften my butter and coconut oil in the microwave before adding to the blender with coffee. This helps everything mix up faster and smoother. 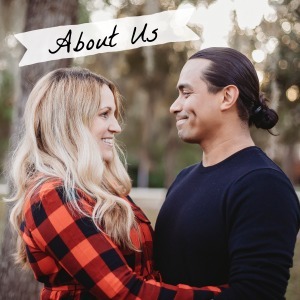 We’ve tried a few different blenders and by far the Vitamix outperforms them all (more than one of our previous blenders burned up doing normal food prep). You can get a really good deal on a refurbished Vitamix – that’s how we bought ours and it’s worked like a dream! Related: See ALL of our Keto recipes here! You've never had a coffee like this! 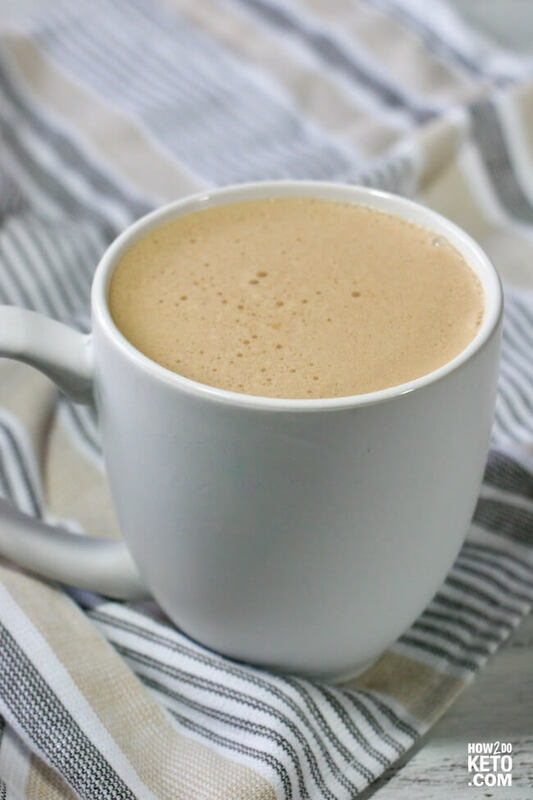 Unbelievably rich and creamy, this Keto Bulletproof Coffee Recipe will be your go-to pick me up! Soften butter and coconut oil in microwave (about 20 seconds). 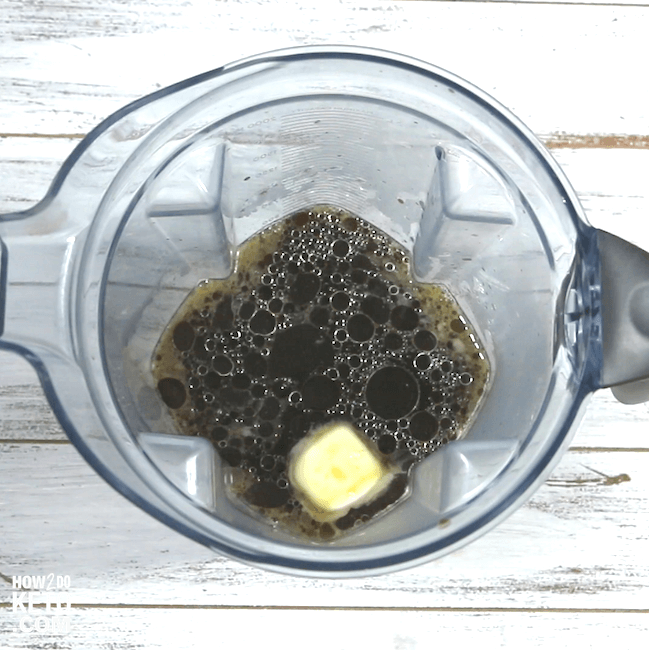 Combine coffee, butter, and coconut oil in blender and blend until frothy (about 1 minute).